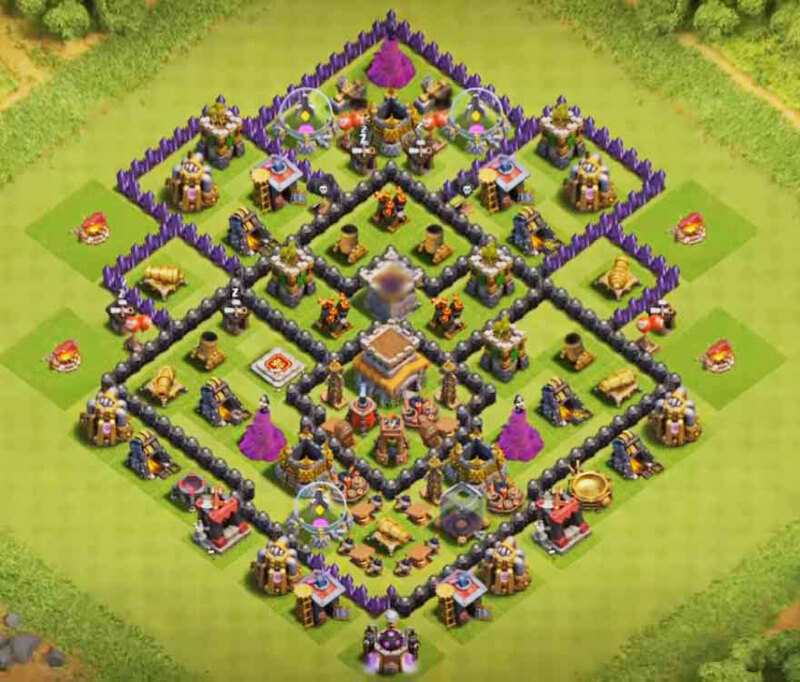 In this post blog post, we are going to look at the best town hall th8 trophy base anti everything 2019. 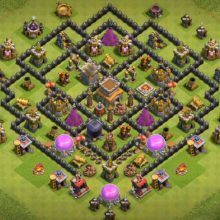 The main features of the below-mentioned th8 base designs are they can withstand various attacks such as Anti everything, Anti giants, Anti Gowipe. 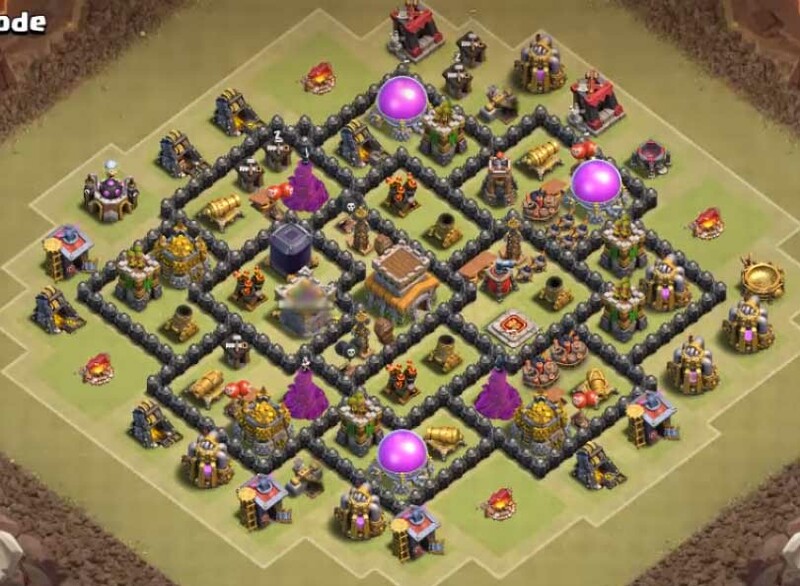 click here for coc th8 hybrid base defender designs. 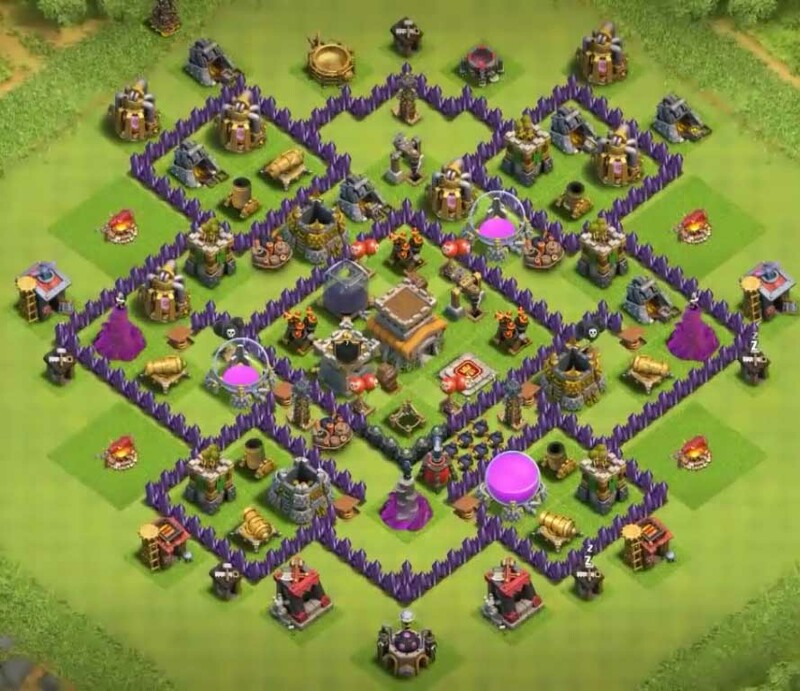 the building under construction is bomb tower in the below base design. So we include a video for every post. 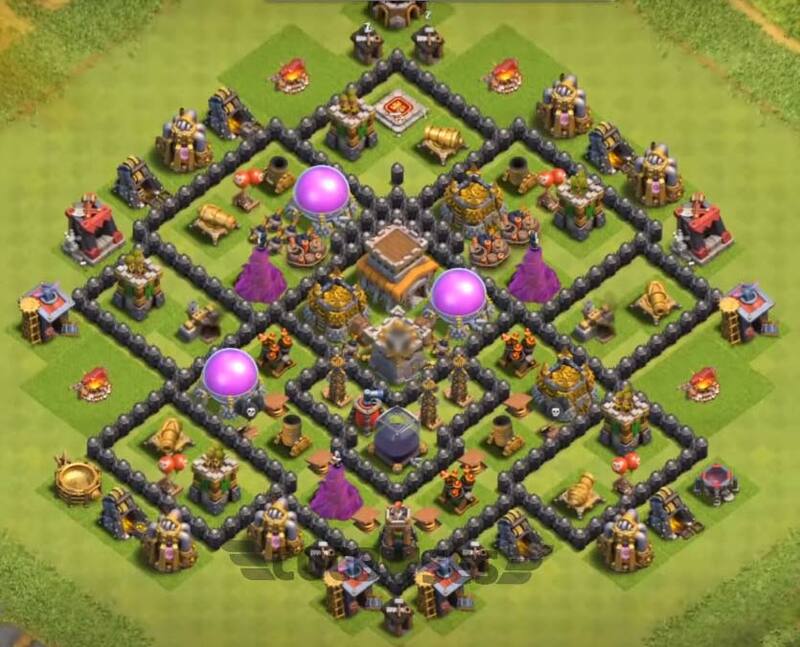 so in this blog post, we are going to include how to use Golem hogs attack strategy at town hall 8. this strategy guide is designed by YoloSwag gaming channel.hope it helps. 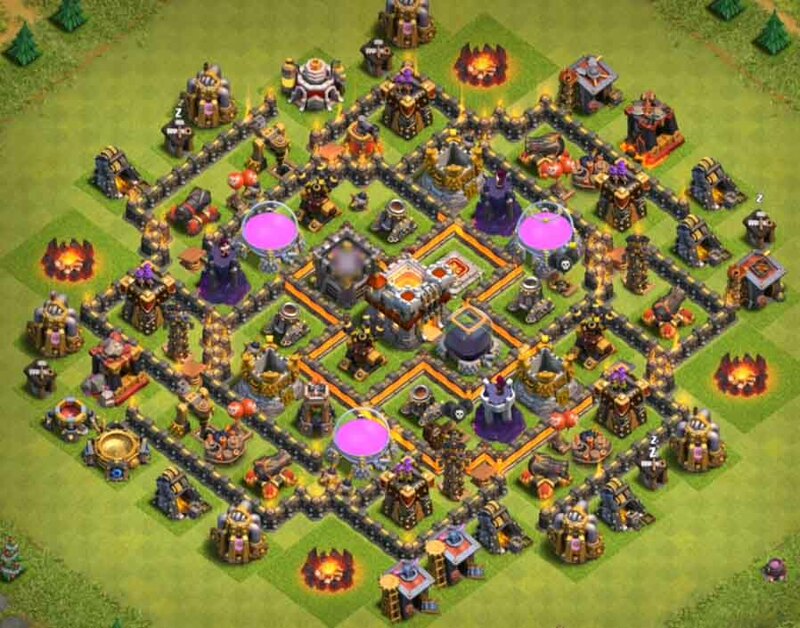 the defensive structures are well distributed entirely across the base and non-defensive structures such as gold mines, elixir collector are used to protect to defensive structures from opponents in multiplayer battles and clan wars.so without dragging any further let us have a look at the best town hall th8 trophy bases with bomb tower. 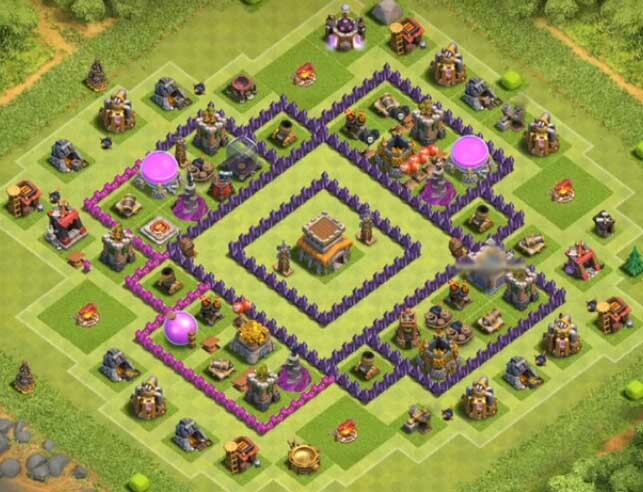 And don’t forget if you have queries regarding this designs or if you got any good bases of town hall 8 you can reach us by commenting in the comment section below. suggestions are also welcome. 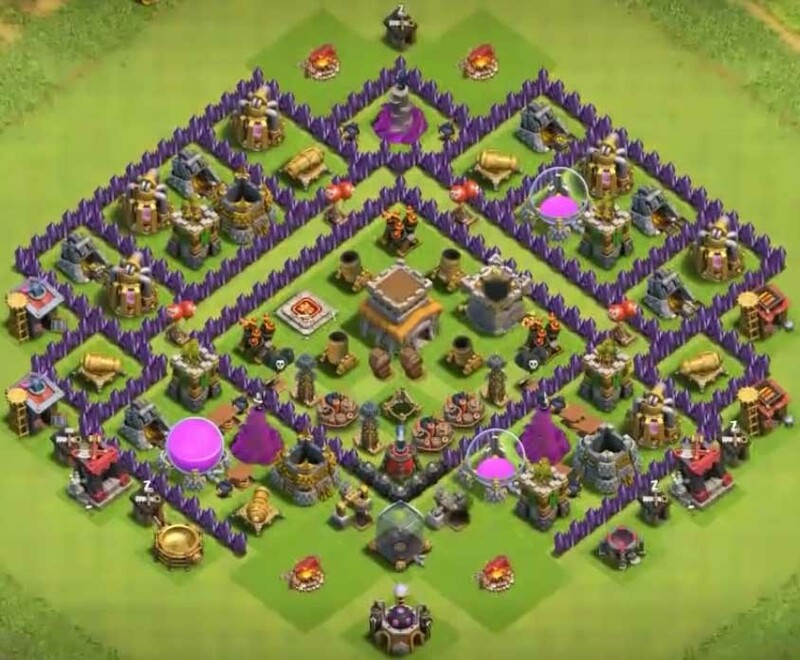 This coc th8 war base with bomb tower layouts are designed in such a way that it can save trophies from multi player battles. 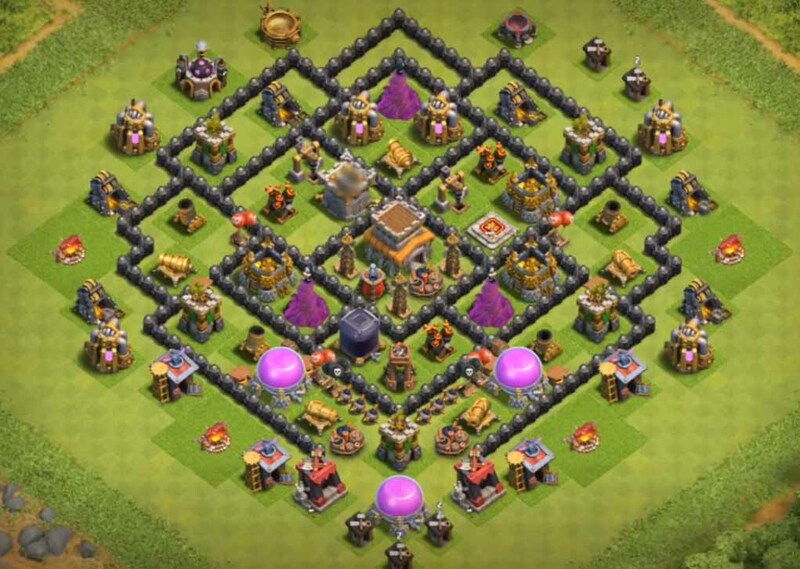 some of the village designed in this article are compact and rest others are distributive. 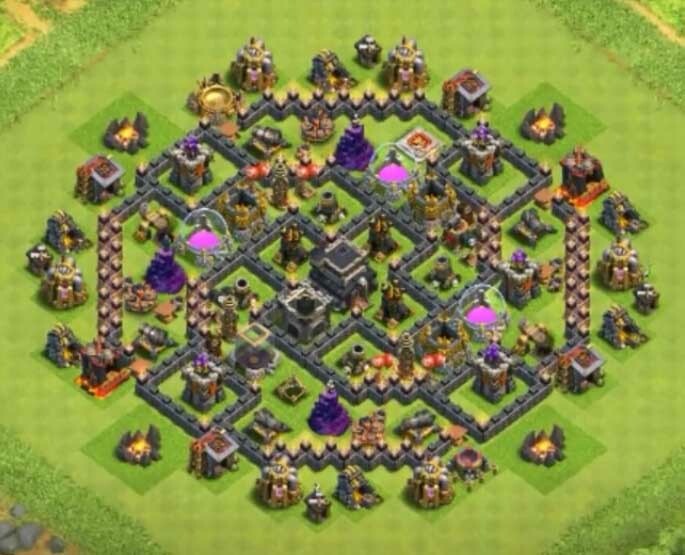 Hii , can you give th8 base 2018 layout.